I know this is a fantasy game and all, but technology kind of has a certain "structure" to it I guess you could say? I've been mulling a lot of potential designs over in my head and while yes, I could just submit them and see what comes of it and proceed from there. Engineers kind of buck the timeframe of the late 1700s in some aspects, (gyrocopters, clockwork automatons) and this is great. I'm just wondering what else is possible now? I'm not gonna start submitting designs for high-end race cars, and whatnot, but clearly Imperian is on the cusp of some sort of Industrial Revolution. There are elements in play here that feel like they imply the existence of other 'precursor' advances or if one were to be so inclined, would lead to the discovery of something farther up the tech tree. I'm looking down a list of what was possible for us during that time and wondering what else we could do, I know we had a new update on what is and isn't accepted in designs from Alend, but most of the designs engineers specifically use go through different approval channels which aren't governed by the same rules as they're treated like free artifact designs. I already had a design that flirted with anachronism, that of my tinderbox, but I regard that as a fluke as it was designed using parts of things that already existed in different ways in-world/in-universe, just assembled in an unconventional way. In short, I'm asking "Where's the limit on this now, and can one know it without bumping into it the hard way, having gotten their hopes up only to have them dashed by it simply being too advanced for the time period?" I'm curious about this too, especially as Engineer feels like it takes an unusual direction - Sure, we've seen steam power in the Merriwether contraptions, but not really in Engineer itself. This is doubly odd because of dragonflame tongues, which keep burning at a high heat for many years IC once made without being consumed. Despite having dragonflame available, Engineer is mostly clockwork-driven. Perhaps this is because metallurgy in Imperian is weird, owing to the old Katalyst event - All the fancy dwarven metals floating around making for long-lasting clockworks that are lighter than a steam equivalent. 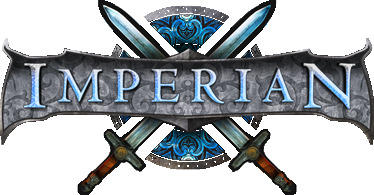 I doubt a steam-powered gyrocopter would fly in Imperian, for example! Though it may be technically possible. It would be kind of weird if steam power didn't become a big thing, with the source of long-lasting super-hot fuel. Additional information regarding how Engineer impacts available materials for design submissions would be great, for stuff like rubber, metals to use, etc.